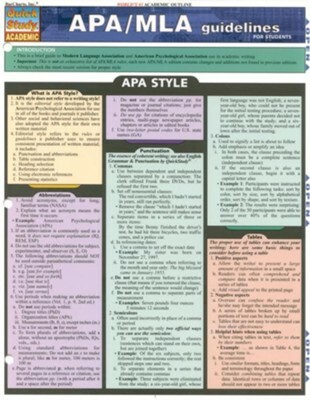 Pull out this handy Barchart when you need a refresher on APA/MLA formats! 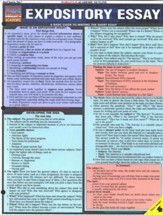 Laminated and three-hole-punched, this 2-panel (double-sided) chart includes information on writing for behavioral & social sciences, reference lists, writing clearly and concisely, citing sources in the text, and more. I'm the author/artist and I want to review APA/MLA Guidelines (Revised) Chart.